Due to the seasonality and delicate nature of Mori Lee bridal gowns, not every gown pictured is available in-store. For the most up to date inventory, please contact one of our professional bridal stylists. 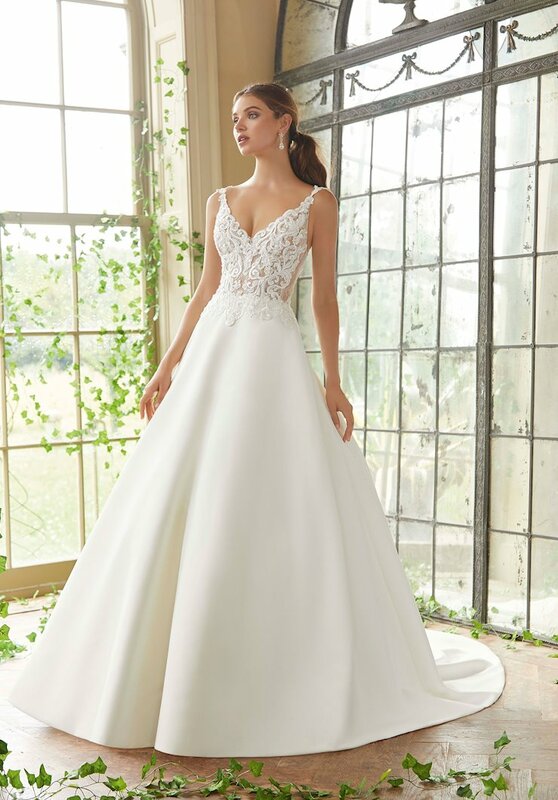 Whether you are looking for a Cinderella wedding gown or a light and whimsical beach wedding dress, Mori Lee has the bridal gown of your dreams. Mori Lee has taken traditional wedding dress styles and added modern flare. Each bridal gown has an emphasis on elaborate beading, embroidery, and sumptuous fabrics. Book your appointment at Henri's to discover your dream Mori Lee bridal gown. Henri's holds the highest account status with Mori Lee Bridal and all Mori Lee collections.